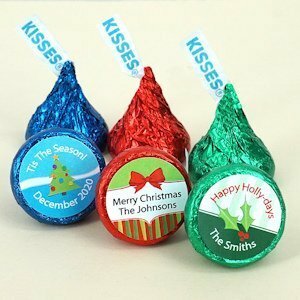 Put a large glass bowl of these sweet little kisses out at your Christmas or holiday party or give 4 or 5 of them to each guests in a little organza bag as a party favor that they can take home with them. No matter how you choose to use these custom kisses, your guests will be impressed. Each Hershey kiss has a round label on the bottom that can be personalized with up to 2 lines of text and the design you choose. 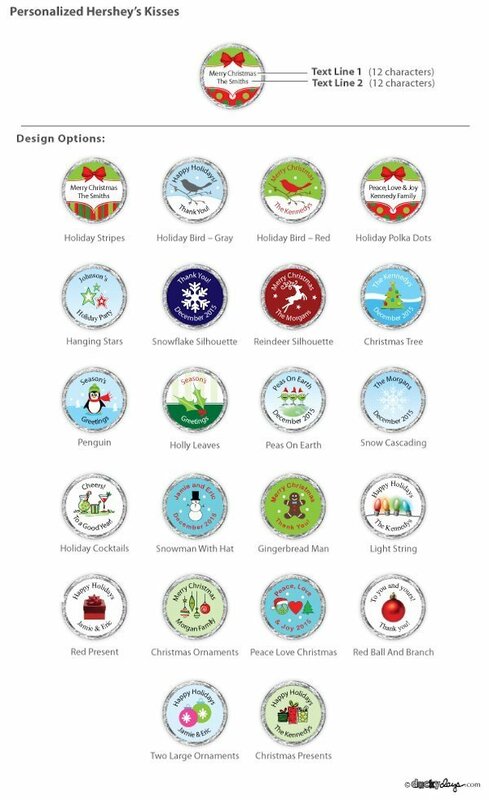 NOTE - the minimum order is 100 kisses per design. 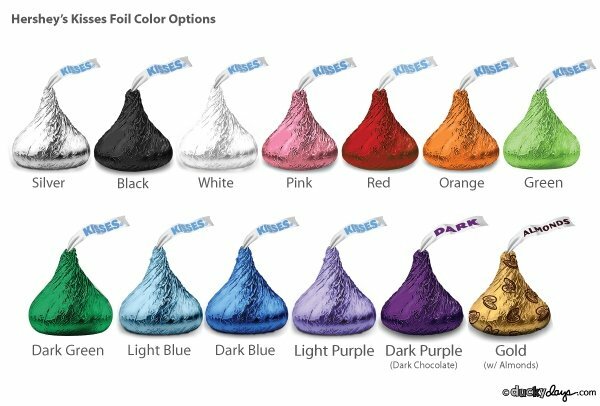 Hershey Kiss Info: Each chocolate Hershey kiss (about 0.875"w X 1"h) arrives with your custom round label attached to the bottom. Kisses are kosher and have a shelf life of approximately one year.